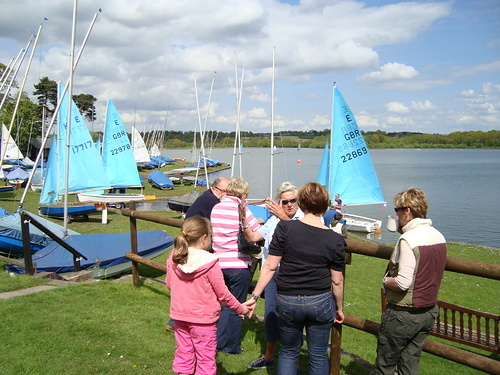 Joining Barnt Green Sailing Club is very easy - we are a very welcoming club and do not have any set criteria for membership, just an interest in sailing! Firstly, click on the "Join" link at the very top right of the webpage. You will need to register with the club by clicking on the red "Create account" button and completing your details. If you already have a club account, you can apply to join by clicking on the red "Login" button. Once your membership application has been received and confirmed, we will send you an invoice for the subscription fees due. Our preferred method of payment is by Internet Banking (bank transfer). Payment can also be made by cheque, made payable to Barnt Green Sailing Club. Payment details will be included on the invoice we send to you. The rules of the club mean that new members are only officially elected to join after a completed application has been received and approved by the BGSC Committee. This is, however, generally a formality - and you are free to participate in club events as soon as the Club receives payment along with your application. Once confirmed, you will receive a club Welcome Pack and a copy of the club rules. Please note that all club members are expected to undertake a small number of duties during the year and also join the club spring and autumn working parties. Barnt Green Sailing Club reserves the right to refuse membership.